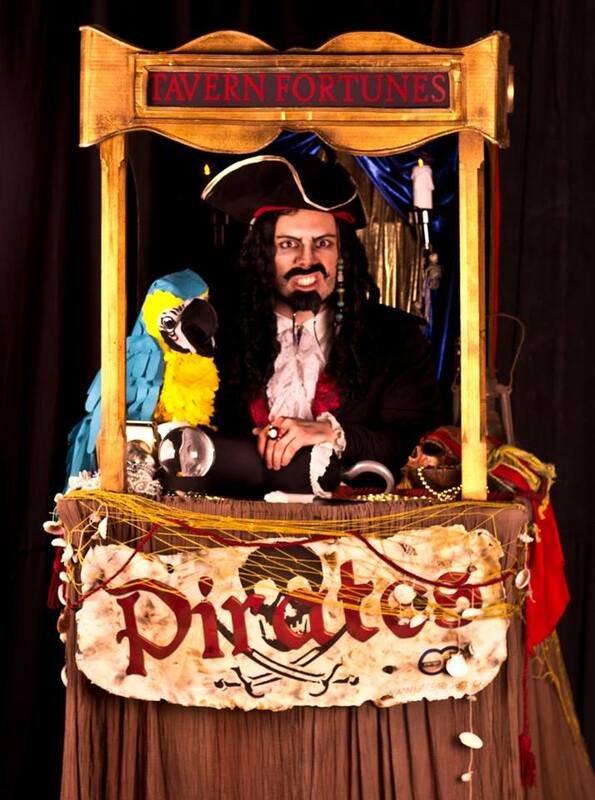 Meet Polly and Pirate Pete, trapped in a box, destined to play tricks, tell fortunes and bad jokes a plenty for eternity. 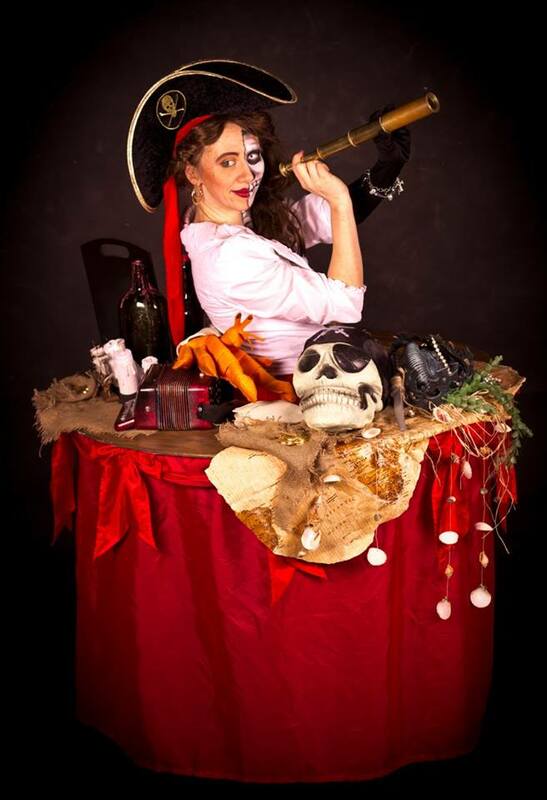 Georgette the dead, will entertain you with her table of trinkets and her puppet crustacean companion. Towering peg leg pirates, Billybob Jones and Tilly the Terrible can spy wide across the port but have no luck with finding treasure. 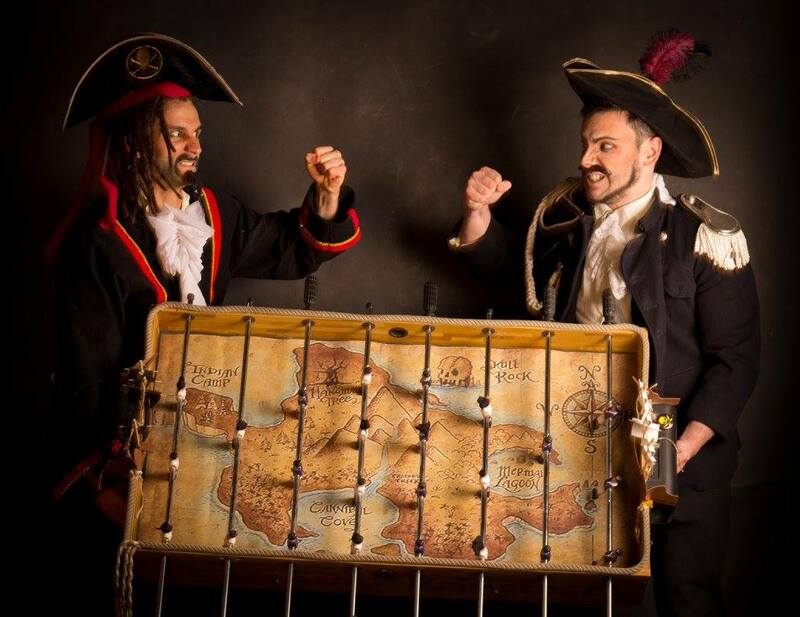 Play pirates vs privateers with a feisty duo, join a team and blast the cannon ball between the ships! 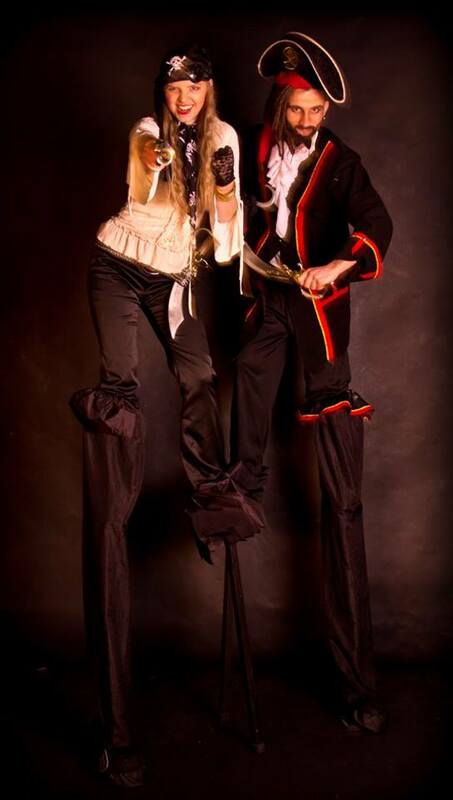 Juggling Jill and Jim Lad will show off their skills in throwing and catching swords and guns! 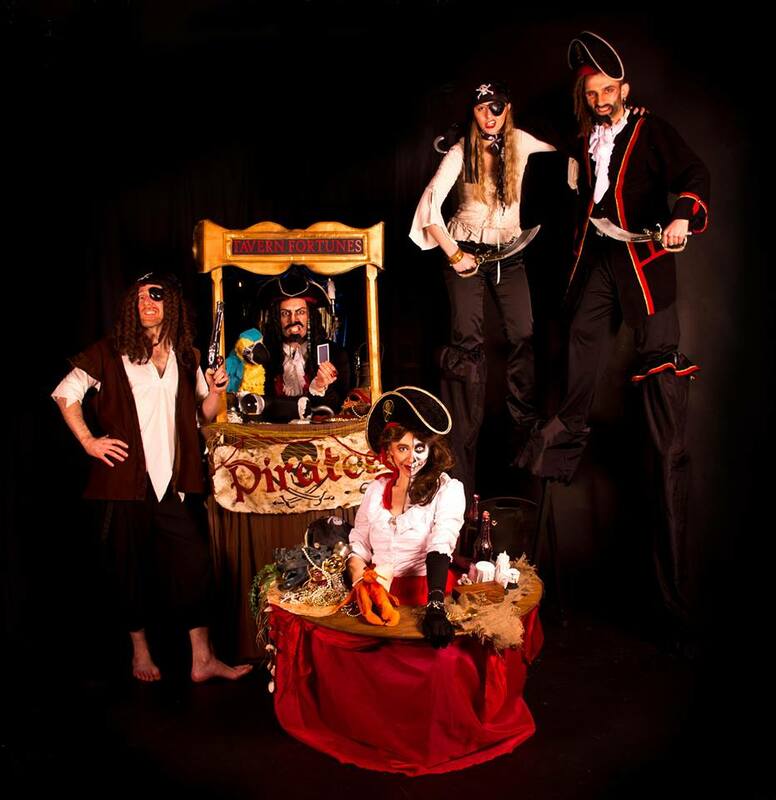 This swashbuckling gang is not to be missed, if you’re lucky they may teach you a trick or two!